Thank you so much, Janie, for joining us on Ensconced in YA, for this interview! I would love to hear a little about your background– where you grew up, what you are interested in studying in college, etc. Stop by Ensconced in YA today for the rest, and remember to enter the giveaway while you’re there! 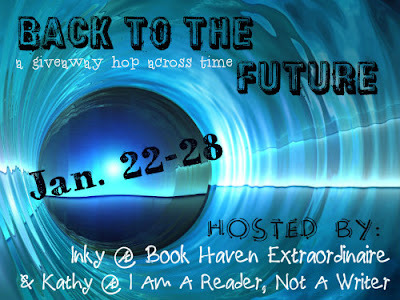 And there are 100 other blogs participating in “Back to the Future: A Giveaway Hop Across Time” so swing by Book Haven Extraordinaire or I Am A Reader, Not A Writer for the whole list of participating blogs and TONS more chances to win! Thanks so much to Christina of Ensconced in YA for finding this amazing opportunity for Stitch!! Samantha: (laughs) Okay, next one. String cheese: string it or eat it in bites? Janie: STRING IT! Oh my God, it drives me NUTS when people just bite into it!! String cheese is practically a delicacy! You’re supposed to savor it! Read the rest over at Head Stuck In A Book today! Thanks so much to Sarah for hosting!! Samantha Durante will be one of the authors that I recommend to my Young Adult Readers at the library were I work. 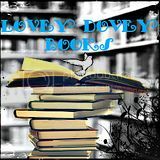 If you are looking for a read alike author for Suzanne Collins or P.C. Cast, Samantha Durante would be one of my top picks. Ah! Suzanne Collins?? I’m BEYOND flattered!! Be sure to catch the rest at Books and Life today! Big thanks to Joy for the huge compliment and for hosting! Tomorrow we’re at Sliced Open Reviews for two more reviews, an author interview, and an e-book giveaway! See you there!